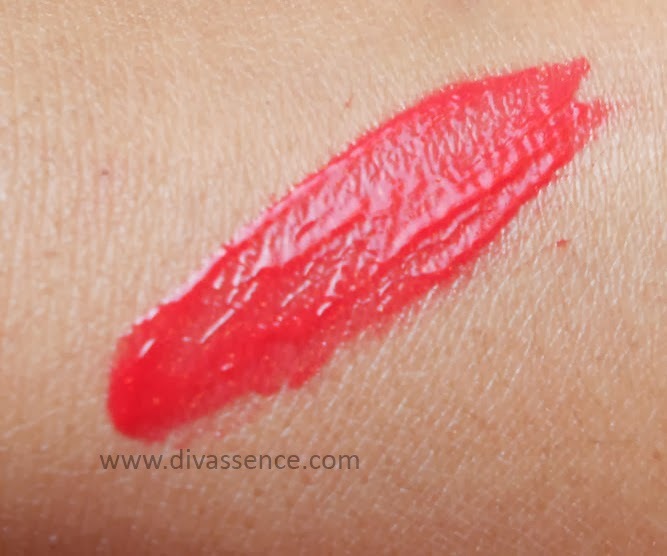 Maybelline Lip Polish Pop 6 : Review/Swatch/LOTD - Divassence! Yes!!!! 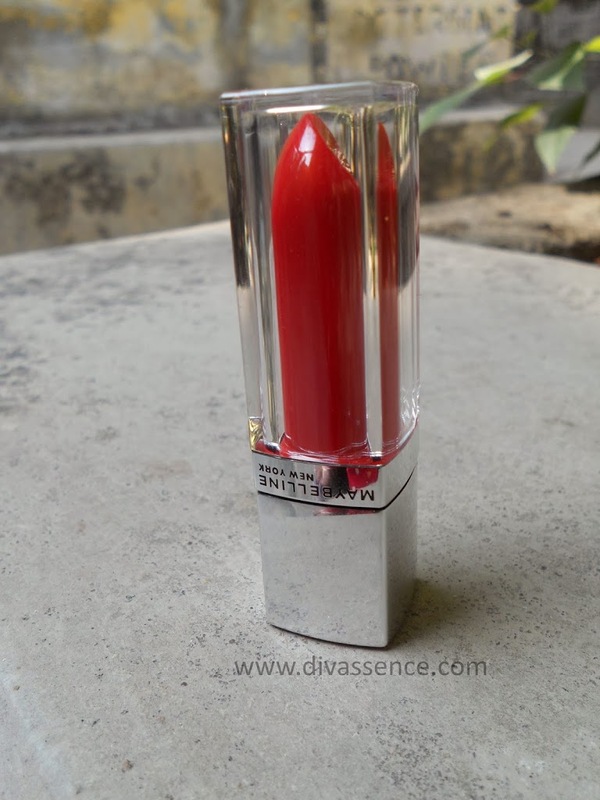 Yet another hyped range of lip product by my cult favorite brand Maybelline has launched in India. 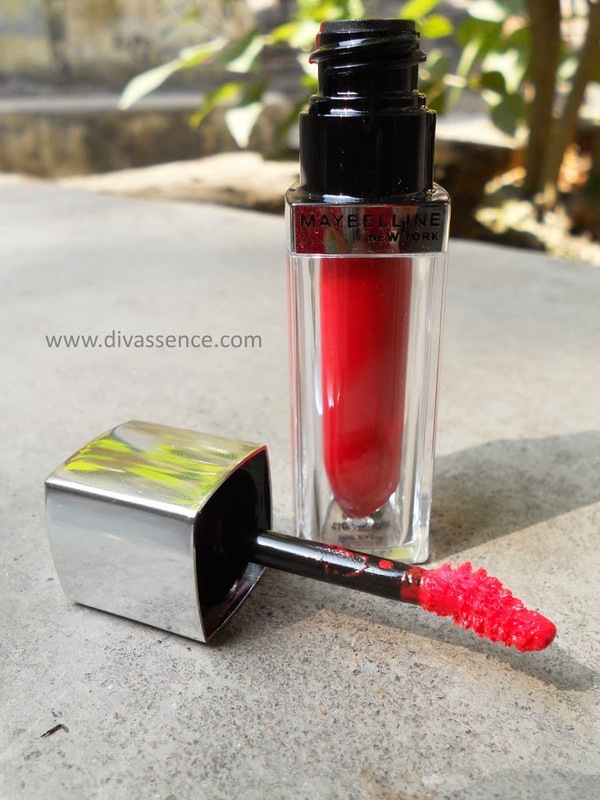 I was checking about this product a few days back in international blogs where the product and packaging is the exact same but the names are different, and the range is called Maybelline Color Elixir. 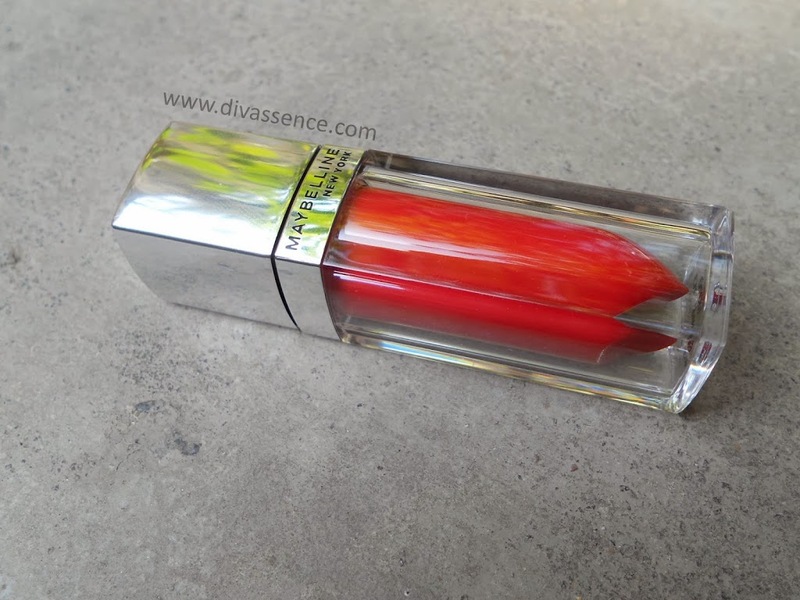 Packaging: These lip polishes come in a rectangular transparent tube which has a silver cap. If you invert the tube it will look like a lipstick. The shade number is mentioned at the bottom. The price and other details are written on transparent plastic film i.e. seal which you have to tear off. The tube is small and the cap shuts perfectly. It comes with a leaf shaped applicator. The quality of the applicator is good and the elongated shape helps for precise application. Shade: Pop 6 is a bright red shade which has very tiny gold shimmer particles. The colour is an extremely gorgeous red colour. The shimmers are an added a bonus I would say as it gives a sheen to the lips without making it OTT. This shade can be worn anytime and with any type of dress. Texture: The texture is very smooth and soft upon application. 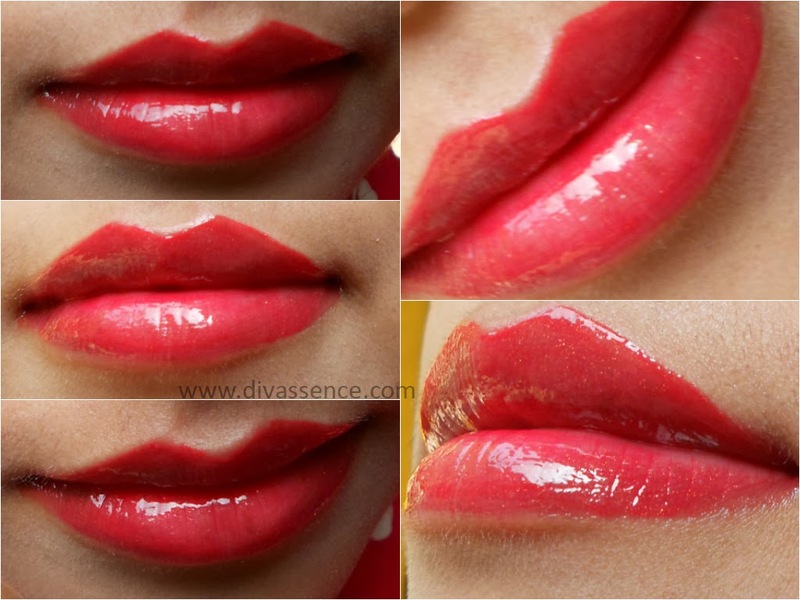 It gives a complete glossy feel on lips and hydrates it really well. What I like about it is the non-sticky aspect which is really comfortable. Pigmentation: Pigmentation of this gloss is quite good. Two swipes give full coverage. It makes for an amazing combination when paired with a bright red lipstick. Staying power: The staying power is decent enough on me; it stays for 3- 4 hours if you consume only liquids. The glossiness does fade after two hours but the colour remains intact till you have a full meal. It transfers a lot which shortens the staying power. •Tiny shimmers add a beautiful sheen. •Texture is light and non- sticky. •Staying power is above par considering it’s a gloss. •Transfers on every single thing. 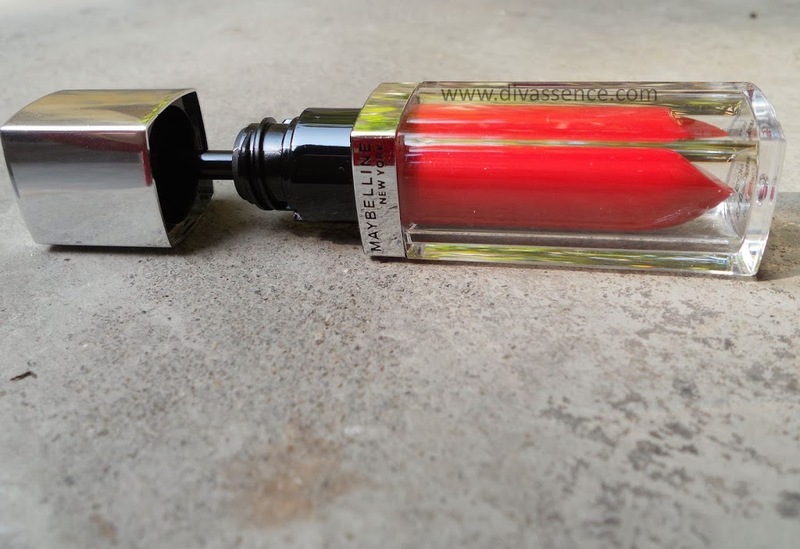 Final Word: Maybelline Lip Polishes are quite a rage in the blogosphere. They are a combination of the best of properties of a gloss, balm and lipstick. Pop 6 is brilliant red shade which looks extremely flattering on lips. It has tiny shimmers which give a beautiful sheen. They are very much affordable and I would say it is a must have. ← Ten big no-nos for Valentine’s Day dressing! such a gorgeous shade…love the lip swatch! Thank u so much Rachna. Sharmistha… Wow wow… I am in love with the lip swatches… the color’s awesome and well pigmented..
Dipti am just so glad to see ur comment. Omg this is huge compliment hun..